Background: Salt stress inhibits plant growth and development, leading to many physiological reactions. 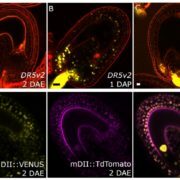 To cope with salt stress, plants have evolved several adaptive mechanisms, including the SOS system, plant hormones, the antioxidant defense system, osmotic adjustment, and lipids signaling. Phospholipase D (PLD) is a key enzyme that catalyzes phospholipids in response to abiotic stresses. 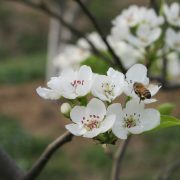 PLD and its catalytic product phosphatidic acid (PA) participate in the plant’s response to salt stress. How PA regulates its downstream targets in response to salt stress is a key issue. 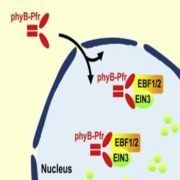 In addition, the auxin efflux transporter PIN2 facilitates auxin efflux from cells, and its activity is regulated by reversible phosphorylation. 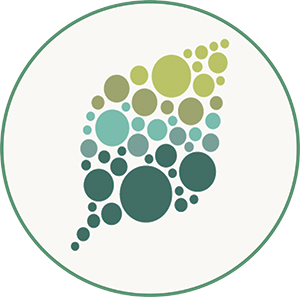 Question: We wanted to know how PIN2 modulates plant cellular responses to salt stress, and whether its activity is regulated by phospholipids. 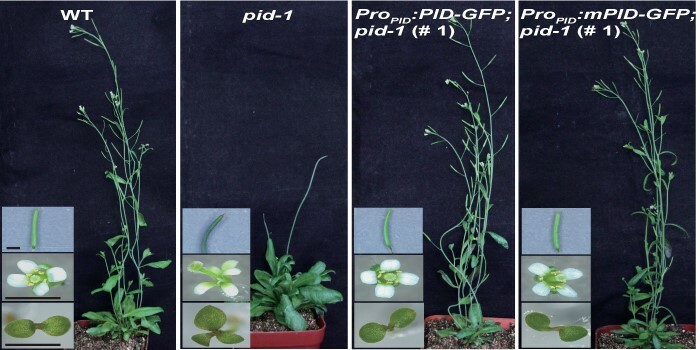 Findings: We found that, under salt stress, PLDα1 and PLDδ are activated to generate PA; PA binds to PINOID (PID) kinase and enhances PID phosphorylation of PIN2, resulting in the promotion of PIN2 activity in the plasma membrane, which directs the dynamic redistribution of auxin during plant root growth. 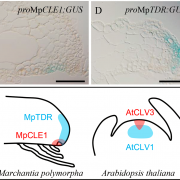 This study reveals that PA–PID interaction is essential for coupling extracellular salt signaling to auxin polar transport in Arabidopsis plants exposed to salt stress. 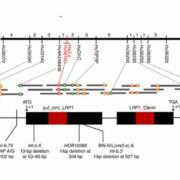 Next steps: We are currently identifying and characterizing other PA-targeted proteins that regulate auxin signaling. Peipei Wang, Like Shen, Jinhe Guo, Wen Jing, Yana Qu, Wenyu Li, Rongrong Bi, Wei Xuan, Qun Zhang, Wenhua Zhang. 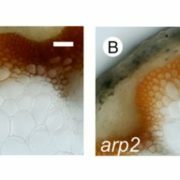 (2019).Phosphatidic Acid Directly Regulates PINOID-Dependent Phosphorylation and Activation of the PIN-FORMED 2 Auxin Efflux Transporter in Response to Salt Stress. 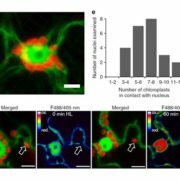 Plant Cell DOI: https://doi.org/10.1105/tpc.18.00528. 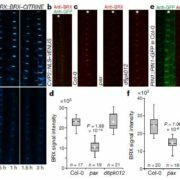 Tags: Signaling and responses, auxin, development.